A smuggling operation during the Napoleonic era threatens to bring down the British government by depleting its gold and causing an economic catastrophe. In the middle of the conspiracy is Charlotte Raven, who is a wealthy ward but originated in the streets of London. Because she has links to the nobility and the commoners, she is able to make discreet inquiries into the various happenings—for those involved seem to be her friends from both sides of society, and they need her help. Meanwhile Charlotte struggles with identity issues, as she cannot release the 12 year old girl who was rescued from the streets, nor can she embrace the ton and all her new life entails. A man from her past and a new love interest collide as she sorts out their roles in her life. 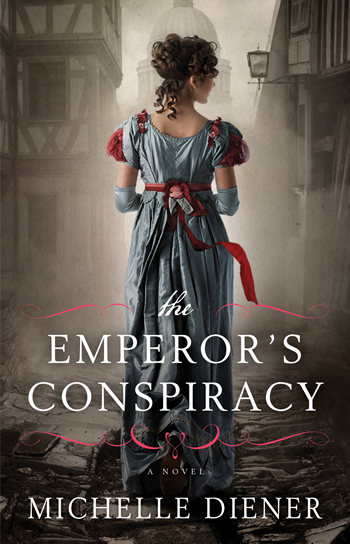 I enjoyed this book much more than Diener’s first book, In a Treacherous Court, because the plot seemed more plausible, possibly due to the fact that it is not centered on royalty. It’s also set in one of my favorite eras and the protagonist is the perfect lead—honest, genuine and with a touch of humor. This is a fun read with an interesting background story steeped in historical fact.